Below you can view all the homes for sale in the Retreat At Old Vinings Lake subdivision located in Mableton Georgia. Listings in Retreat At Old Vinings Lake are updated daily from data we receive from the Atlanta multiple listing service. To learn more about any of these homes or to receive custom notifications when a new property is listed for sale in Retreat At Old Vinings Lake, give us a call at 404-998-4102. Quiet Cul-De-Sac Lot In Sought After Retreat At Old Vinings Lake * Finished Terrace Level W/Media Room, Surround Sound (Media Equipment And Reclining Chairs Stay) Full Bath And Storage* Open Kitchen With Hardwoods, Stainless Steel Appliances, Island And View To Family Room * Relax In The Master Suite With Spa Bath And Elfa Closet System* Four Spacious Secondary Bedrooms* Fenced Backyard With Deck And Patio * Seconds To The Pool, Playground, Tennis Courts Or Fish In The 14 Acre Lake Also Seconds To The Recreational Trail* Close To Suntrust Park, Airport And Silver Comet Trail! MLS#6530254. Ansley Atlanta Real Estate, Llc. Neighborhood Amenities Include Swim/Tennis, Walking Trails And A Lake For Fishing. MLS#6530182. Keller Williams Realty Cityside. Enjoy Swim/Tennis Facilities And Sit By The Community Lake. MLS#6114416. Keller Williams Realty Cityside. 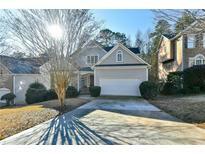 Close To Atlanta, Smyrna, Vinings, Downtown, I-285, I-20 Only 25 Mins To Hartsfield. MLS#8502429. Keller Williams Rlty Cityside.